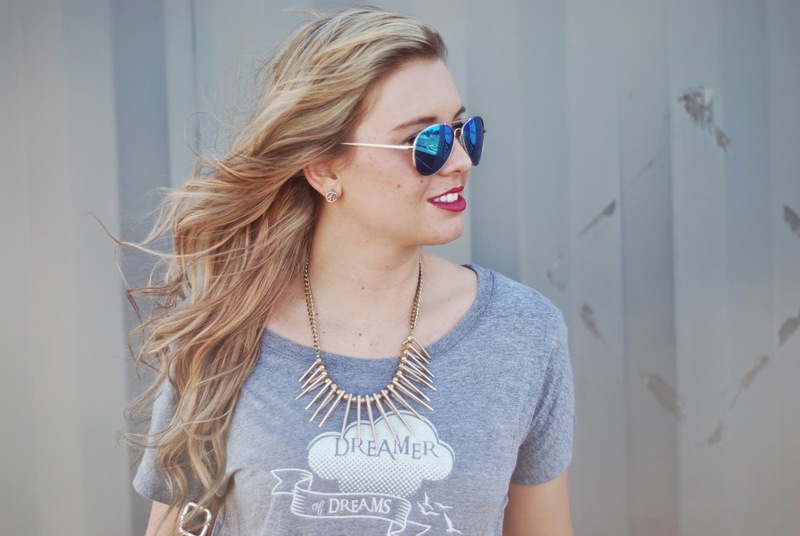 DRESS IT DOWN FEATURING MY SISTER'S TEE + GIVEAWAY!! Today I am really excited about this giveaway! 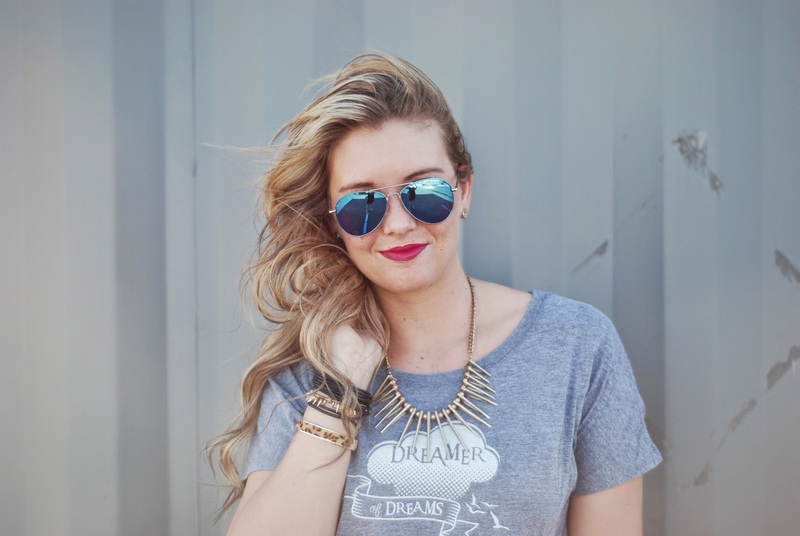 We are giving away 3 shirts from My Sister's Tee! 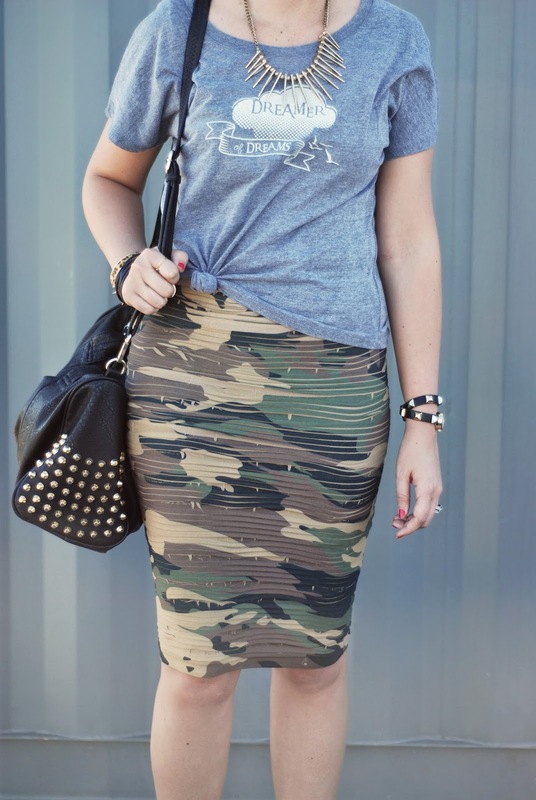 I was going to go super casual with this tee and decided to spice it up with this fun scrunchy camo skirt and some spikey heels! I sure love my studs and spikes. The great things about graphic tees are, you can dress them up, dress them down, and really wear them however you want. These tees are a piece that will be very useful for your summer wardrobe!